As part of our structured cabling service, we offer UPS cabling solutions that are availed by business and corporate organization. 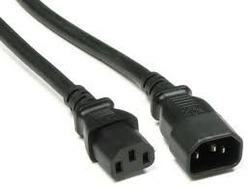 The ups cabling solution offered by us secures the computer and its data in case of emergency power cutoff. Backed by team of expert professionals, who specialize in networking solutions, we are able to offer reliable and trustworthy ups cabling solutions. We do take care of your investment in terms of PCs, Printers, Routers, Switches by means of providing Uninterrupted Power circuits from the UPS unit. After a year, we safeguard your circuits by means of providing Annual Maintenance Contract.